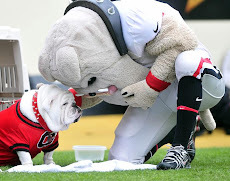 An Opinion On Sports: Georgia -vs- Auburn: 1959 Was Oh-So-Fine! 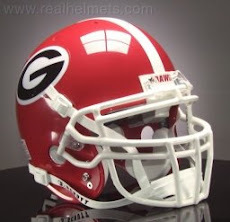 In 1959, Georgia defeated Auburn "Between the Hedges" 14-13, a lost that cost Auburn the Southeastern Conference Championship. The Bulldogs took the momentum from their Auburn victory and captured not only the SEC crown, but an Orange Bowl victory as well. Interestingly, 1959 marked the second year of the two-point conversion. As the game played out, this option could have helped the Tigers if head coach Shug Jordan had chosen to exercise it. 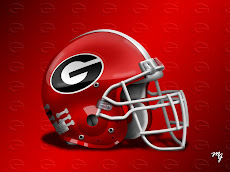 His team took an early 6 point advantage with two field goals before Georgia's Charley Britt took an Auburn punt 39 yards to paydirt to give UGA a 7-6 lead. However, less than 12 plays later, Brett would go from hero to goat when he backed into the punt of teammate Bobby Walden. The Tigers recovered at the Bulldog 1-yard line and scored from there to retake the lead at 12-7. Jordan ignored the obvious go-for-two situation, kicked the P.A.T. and led 13-7. 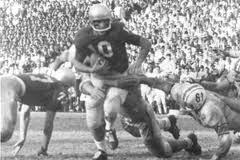 With less than three minutes to play in the game, UGA's Pat Dye recovered an Auburn fumble. In the closing seconds, quarterback Fran Tarkenton connected with Bill Herron on a 13 yard pass to secure the Bulldog victory with kicker Durwood Pennington's extra point. By the way, Vince Dooley was an assistant coach on the AU staff at the time. It was certainly not the last time Dooley and Dye would face each other in the 'South's Oldest Rivalry', but it was the last time before they exchanged colors.